Are you in search for affordable La Grange hydrojetting services? For hydrojetting experts near La Grange, IL Done-Rite Plumbing is here to help. We provide 24 Hour Emergency Plumbing Services 7 Days a Week. With the use of augers or pipe snakes many clogged drains can be resolved. In some instances however, some of the deepr clogs may be deeper than the reach of the typical auger (like those caused by an overgrowth of tree roots near a sewer line. In cases like this, they typically require alternate plumbing service. Hydrojetting uses forced water which is sent through the pipes using high pressure water up to 4,000 pounds per square inch to force through any built-up clogs including those stubborn tree roots while flushing them into the sewer. Many kitchens or restaurants often have grease from your food getting sent down the drain causes clogs over time. 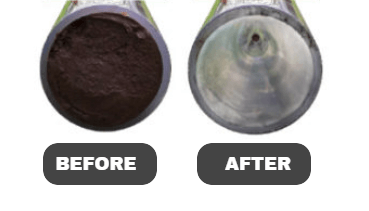 After continuous grease accumulates inside of your drain pipes, many solids build up restricting the flow of wastewater causing blockage overtime. These clogs are usually not responsive to drain cleaning products sold at local grocers and hardware stores and typically requires the assistance of a professional plumber. Not all clogs are serious enough for hydrojetting. An experienced plumber will be able to make that determination to find the best solution to resolve your situation. Done-Rite Plumbing is well versed in this area and can help you with your most pressing clogs. Hydrojetting can also be used as preventative maintenance in places most prone to clogging. For more information or to schedule an appointment, call your friendly plumbing professionals at 708-246-3658.